Adrian Lam believes the fact some of his squad are playing for their Wigan futures will provide them with ample motivation tomorrow night. 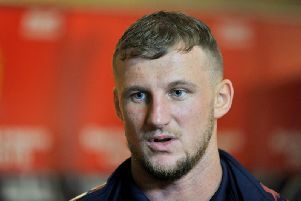 He looks set to field a patched-up side at Wakefield tomorrow night. 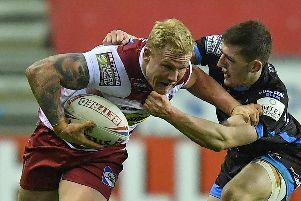 But he is confident his side can get the job done and says those who are out-of-contract – including Dan Sarginson, Joe Burgess and a clutch of young players – have extra incentive to shine. Lam said: “There are a lot of injuries but there are a lot of opportunities. And a lot of these players are off-contract, so everyone has their own reason why they want to play well. You’ve got to give confidence to the group here. The depth is certainly being tested. It’s always good when you can pick the same team two weeks in a row to build some cohesion, but we’ve got to power on. “If you sit there and think, ‘How come we don’t have him, or him?’ you drive yourself insane. We’ve been going pretty good with the players we’ve got and at Castleford, for 40 minutes, we were sensational." Only Sam Powell is set to return to the side beaten 38-28 by the Tigers while Dom Manfredi, Joe Greenwood and Jarrod Sammut drop out of the frame through injury - joining a long list on the sidelines.